I woke up this morning to three wonderful things: a hot cup of coffee, a gorgeous sunrise, and a picture of Mike Matheny on espn.go.com/mlb! My girlfriends talk about Kenny Chesney, Justin Timberlake, and Matt Damon. Don’t get me wrong … these are handsome men. But there is something about a man in a white uniform who can own a baseball cap. 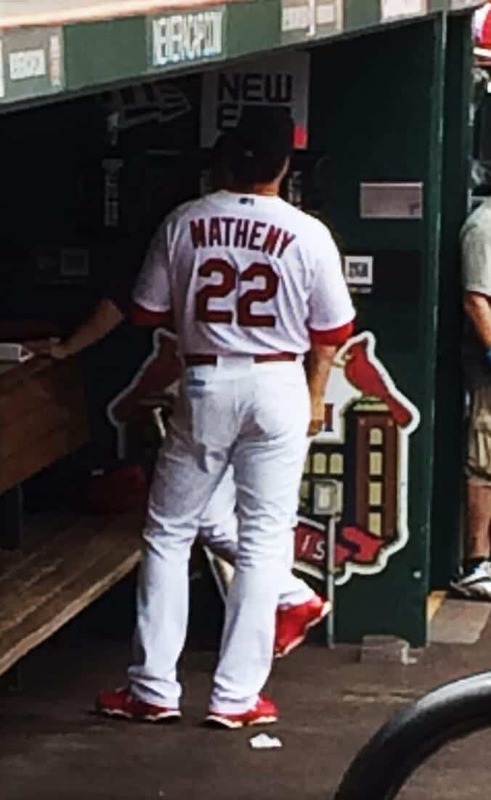 In case I have lost you, Mike Matheny is the manager of my beloved St. Louis Cardinals. And don’t worry … my husband knows all about my crush. I like to make him and my boys roll their eyes when a game is on and I hush them whenever the camera crew gets a shot of Mike. So today is a special day … Opening Day of Major League Baseball. MLB is the perfect combination of two things I love: baseball and food. One of the items on my bucket list is to visit every MLB stadium. Luckily my husband shares my love for baseball. We crossed the first ballpark off the list on our honeymoon in Minneapolis. Of course, since then, the Twins have a new stadium, so it is now back on our list. 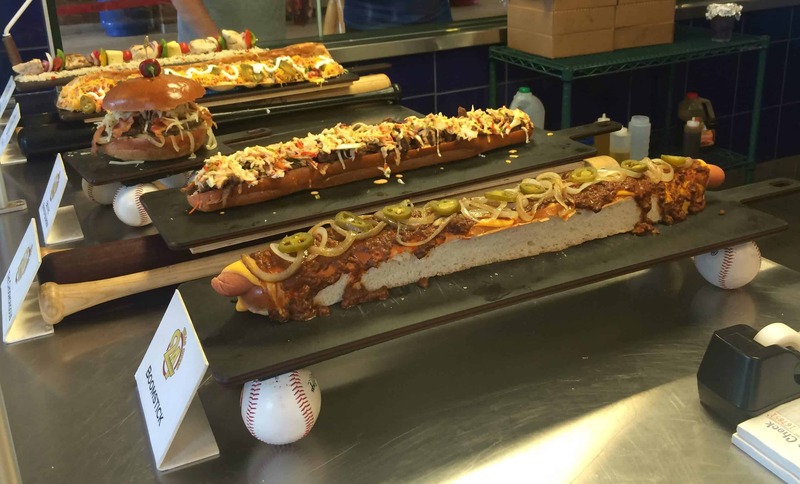 Although I look forward as much as anyone to a good hot dog at a ballpark, I have learned that before you go to a game, you must do your homework. Be foodventurous. What is the local favorite? What is the local brew? Do they serve wine? A few years ago, we checked a Giants game off our list. AT&T Park is amazing! On the San Fransisco Bay … kayaks floating around waiting for homerun balls to land in the water … and wine. You have to expect that from an area blessed with grapes that were meant to be in a glass. But the big discovery was the GARLIC FRIES! We dug into these garlic-loaded fries and were immediately concerned that no one would want to sit near us. Not to worry, within two innings, the entire ballpark smelled like garlic. I am not joking. The smell of garlic wafted everywhere. And no one was complaining! Thanks to a trip to Washington for my nephew’s wedding and my son’s internship with the Texas Rangers, Safeco Field in Seattle and Globe Life Park in Arlington have stamps in our ballpark passport. 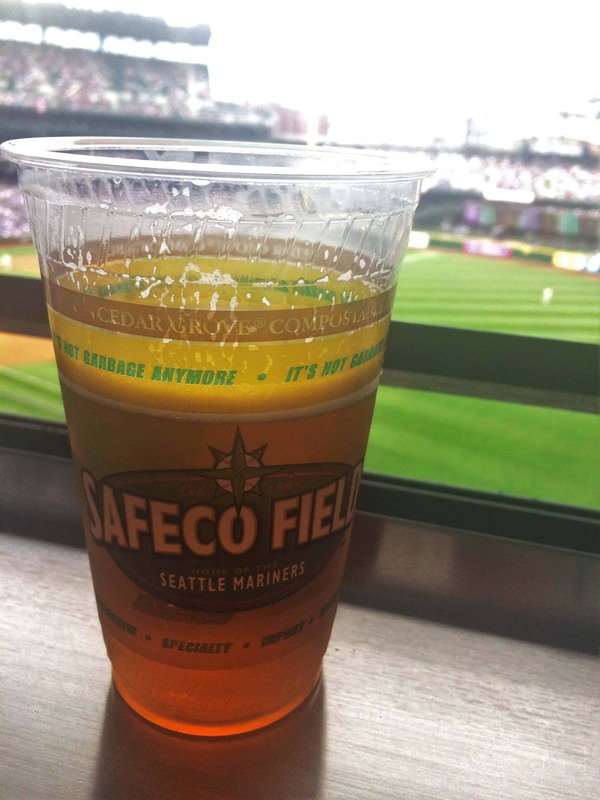 Ice-cold beer on a gorgeous day in Seattle (yes, they have gorgeous days in Seattle) is only improved by rain clouds moving in so that you can witness the retractable roof in the middle of a game! At Kaufman Stadium in Kansas City, it’s BBQ and Boulevard Wheat. Miller Park in Milwaukee?? Fried cheese curds and Miller Lite. 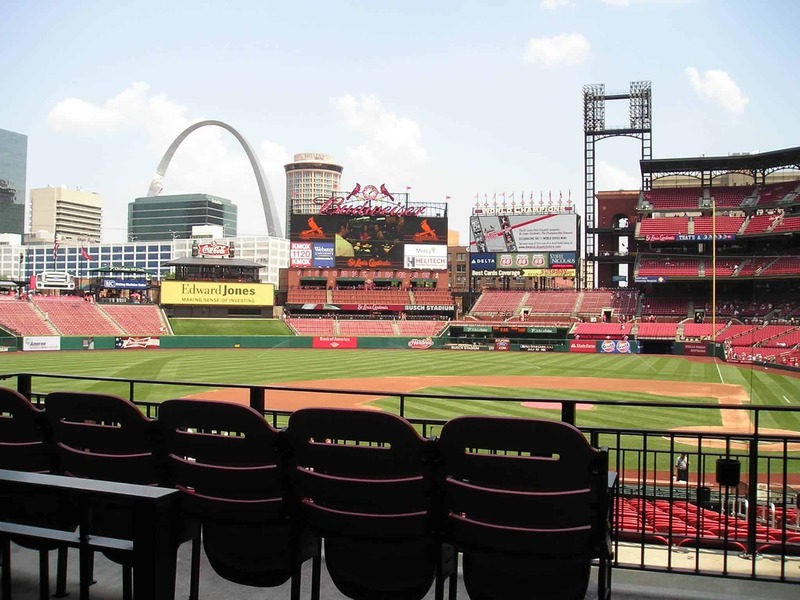 Busch Stadium in St. Louis? After all, my attention is on ..
Let the organ music play. I’ll put it on my list! Thanks!